One hundred and six years ago, William Stinchcomb, a self-taught engineer, had an idea that would forever change the face of Cuyahoga County. 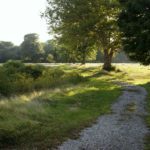 Stinchcomb’s proposal was bold and quite simple: What if there was a chain of connected parks woven through the county? 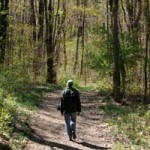 Today, the wisdom of creating Cleveland Metroparks seems obvious. Back then, however, most of the communities outside of the Cleveland city limits – places like Parma, Strongsville, Mayfield Heights, Brecksville, Brook Park, Solon and North Olmsted – were mostly rural. It took incredible vision to foresee the need for open space at a time when farms and forests dominated huge tracts of land. Stinchcomb had such vision. 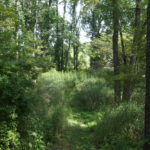 The Land Conservancy and its conservation partners hope to mirror this vision on a regional scale, creating the largest network of permanently protected land around a major metropolitan city anywhere in the world – a 400,000-acre ribbon of connected parcels extending from Sandusky Bay to Conneaut and including both farmland and natural areas. We’re about halfway there. Thanks to the great conservation work of our partners, more than 200,000 acres have been protected, including the impressive green corridors of the Emerald Necklace, the Cuyahoga Valley National Park and Mill Creek MetroParks. The Land Conservancy is close to completing a strategic plan for preservation in our region, one that will prioritize properties based on their natural resources and other attributes (see page 7). In the meantime, we are continuing to piece together key corridors in our 14-county service region. Here is a look at some of the areas where we have had success. Nowhere in northern Ohio are the results of land preservation more evident than in the Chagrin River valley, where more than 6,300 acres have been preserved by the Land Conservancy and its conservation partners, including Cleveland Metroparks. The Land Conservancy is planning to build on this foundation and connect additional parcels along the approximately 15-mile stretch of Chagrin River Road between Bainbridge and Willoughby Hills. Some of the protected parcels along the Chagrin River are owned by local park systems or other government entities. Other properties in the valley remain in private ownership but are permanently protected by conservation easements held by the Land Conservancy. The preservation of the Chagrin River valley is important to residents’ quality of life and to the economic health of the region. The Chagrin River corridor contains an astonishingly rich array of outdoor amenities, including world-class steelhead trout fishing, miles of trails for hiking, horseback riding on bridle trails and at adjacent stables, bicycling and birding. The valley’s productive family farms and orchards supply local foods. One example of the Land Conservancy’s work in the Chagrin River valley is the preservation of the former Warner Nursery property, now Lake Metroparks’ Pleasant Valley Park. 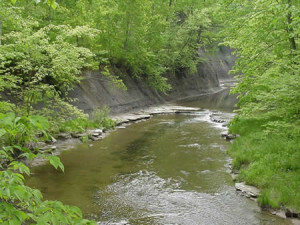 The 75-acre Willoughby Hills property, which was acquired in 2008, provides public access for steelhead fishing. Another is about 10 miles south in Chagrin Falls, where the preservation of 106-acre Whitesburg Park added to the protected corridor that includes the village’s Riverside Park. Other Chagrin River valley preserved properties include Forest Ridge Preserve in Moreland Hills and privately owned Bainbridge-area tracts that are protected by conservation easements. The latter include Snake Hill Farm and properties owned by the Salmen, Cope and Davis families. The Grand River, which flows through portions of Ashtabula, Trumbull, Lake and Geauga counties, drains the most biologically diverse watershed flowing into Lake Erie in the United States or Canada. Thirty-three of the river’s 99 miles are protected by the Grand River Partnership, a collection of more than 30 conservation organizations working in the watershed. We have helped preserve a number of tracts, including the Land Conservancy-owned 883-acre Ashcroft Woods property, along the Grand River corridor near Orwell in Ashtabula County. Other permanently protected properties in the corridor include Palister State Nature Preserve, Rome State Nature Preserve, the Orwell State Wildlife Area and The Nature Conservancy’s 1,300-acre Morgan Swamp Preserve. The results of the land-protection efforts have been startling, both in terms of wildlife diversity and water quality, according to Scott Hill, a Land Conservancy field director. “The Grand River riparian corridor is the yardstick by which all Lake Erie streams are measured,” Hill said. The Ashcroft Woods property was acquired in two stages. The second phase of the project, which was completed in 2010, connected two sections of protected riparian acreage on the Grand River to create a four-mile stretch of permanently preserved land. To the east, an equally dynamic green corridor is emerging along Pymatuning Creek, just a short hop from the Pennsylvania state line. There, the Land Conservancy has permanently preserved about 1,000 acres and hopes to add another 7,000 acres by the end of 2011, according to Hill. Hill said the corridor “is almost like an extension” of the state’s Shenango Wildlife Area, a 4,845-acre protected area in northern Trumbull County, 22 miles north of Youngstown. “The farms in this region have done an excellent job in terms of land management and stewardship, and we’re finding the biodiversity there is exceptional,” he said. This corridor is expected to eventually include the Dorset State Wildlife Area. The West Branch of Rocky River covers miles of rural and suburban terrain before reaching North Olmsted, where it joins the East Branch to form the river’s main stem. The Land Conservancy and its conservation partners are now working to protect a key section of the river in Medina and Medina Township and create a vital green corridor there. Bill Jordan, associate field director for the Land Conservancy’s Medina office, said the area of opportunity extends from the city of Medina’s 226-acre Reagan Park north to the point where Rocky River goes under Marks Road. Several land preservation projects are underway along the West Branch in this region, and other potential projects have been identified. In addition to Reagan Park, the area includes protected land owned by the Medina County Park District, the Cleveland Museum of Natural History and Medina Township. Further north in Lorain County, the Land Conservancy co-holds with the history museum a conservation easement on the 254-acre Wendtwood property on the West Branch in Columbia Township. Some of the emerging protected corridors involve tracts of prime farmland. One such area is in the Land Conservancy’s Firelands region, where approximately 5,000 acres – most of it agricultural – has been permanently protected. Western Field Director Andy McDowell, who grew up working on farms and now works with farmers to preserve their land, has been instrumental in securing easements throughout rural southern Lorain and Huron counties. For McDowell, it is emotional and personal. When he was a teen, he hoped someone would restore his grandparents’1850 farmhouse in western Pennsylvania and lease the farmland. The farm was ultimately sold to a private buyer for well under market value. It is now owned by a landfill. “This is part of the root of my passion in preserving farmland and creating these corridors, thus helping to ensure a viable agricultural region for generations to come,” he said.